Dear Washington, Strasburg Fans, I’m Sorry I was Right. Now that the Washington Nationals’ ace starting pitcher Stephen Strasburg has a “significant tear in his ulnar collateral ligament in his elbow” that requires Tommy John Surgery (I’m not going to explain it, so read here), it appears I was right all along in my prediction that Strasburg will be the second coming of Mark Prior, and I wish that wasn’t the case. When I wrote this article last summer after Strasburg signed his record $15 million deal, a few people thought I was crazy, but the fact is, even at 21, I have already seen enough of these “can’t miss” pitchers blow up their arms very early in their careers, including the two cogs of the mid-2000s Cubs rotation, Mark Prior and Kerry Wood, and Strasburg’s own Washington teammate, Jordan Zimmermann. The key culprit in these injury-plagued pitchers appears to be the same thing every time: the pitching motion known as the Inverted W (why it’s not called the M, I don’t know), where the pitching elbow is raised above the shoulder during the pitcher’s delivery. As you can see in this article, which I used in my previous post about Strasburg, every pitcher except the Cardinals’ Adam Wainwright — and look out, Redbird fans, because his turn will probably come soon — has spent significant time on the disabled list, with the most notable being Prior, who will probably never pitch again, Wood, who’s been relegated to a bullpen role, and A.J. Burnett, who is always an injury waiting to happen. See Strasburg's elbow? It shouldn't go that high. So what should be done about this? 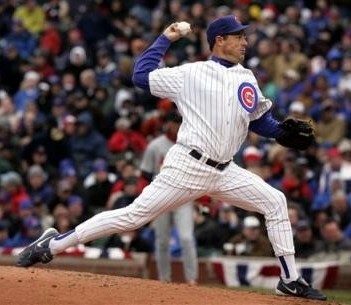 I suggest, starting as early as little league, park managers and coaches should have training sessions about how to keep the kids healthy, and that should include a preseason seminar about the correct pitching motion, like Greg Maddux or Justin Verlander, whose pitching hands are always placed higher than their elbows, which promotes less torque on the elbow and shoulder. It’s a minor tweak, especially for a young kid, and if those correct pitching mechanics are hammered into these players’ heads from an early age, the amount of elbow and shoulder surgeries in Major League Baseball could be diminished significantly. 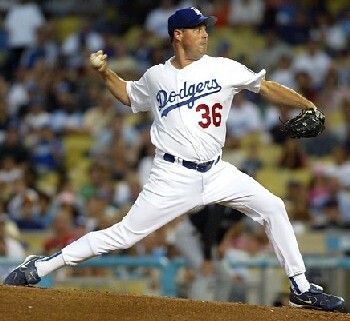 Maddux displays the correct way for a pitcher to wind up. As for Nationals fans, I’m sorry, because Strasburg is less than a year older than me and, while he could still have a bright future, it’s a lot cloudier than it was before he felt that snap in his arm during his last start. I’m also mad that I wasn’t able to see him pitch before this happened. Oh, well, bring on the next soon-to-be superstar pitcher. Another thing they should teach the little pitchers is how to pitch without practically falling over afterward, like that Clayton Kershaw guy. It’s bad form and you look stupid.